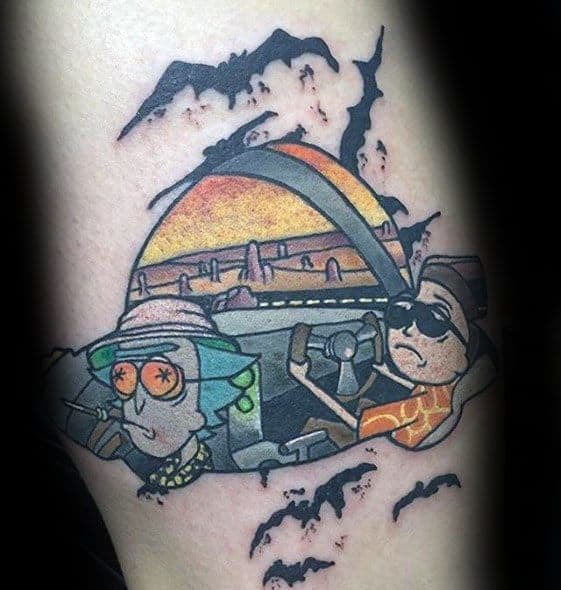 Based on an animated parody from Back To The Future, it’s no small wonder the Adult Swim cartoon concerning a brilliant but self-destructive scientist, his sidekick teenage grandson, and long-suffering family became an instant hit with nighttime viewers. 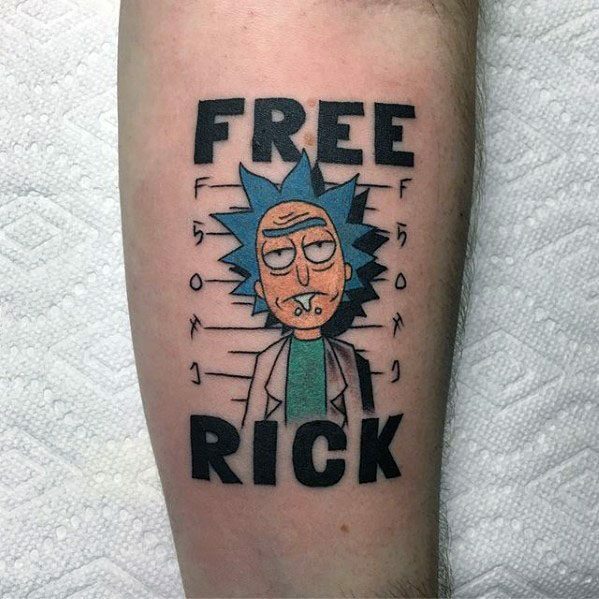 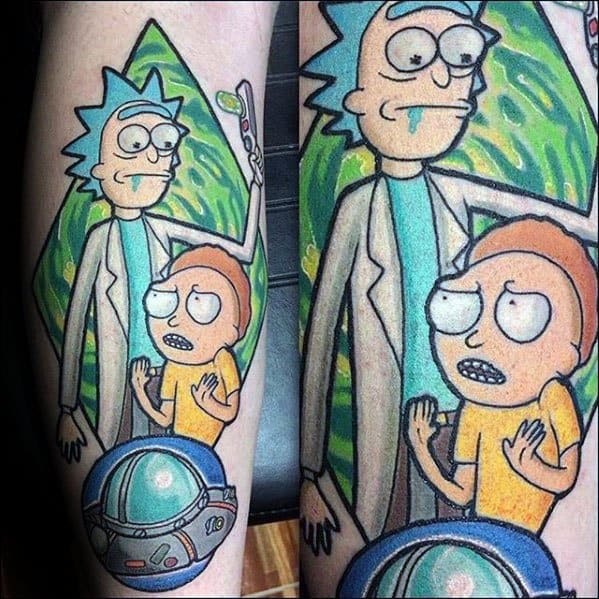 The anarchic adventures of Rick and Morty span time, space, and plausible scenarios, and it’s safe to say the show’s tattoo fan base follows suit. 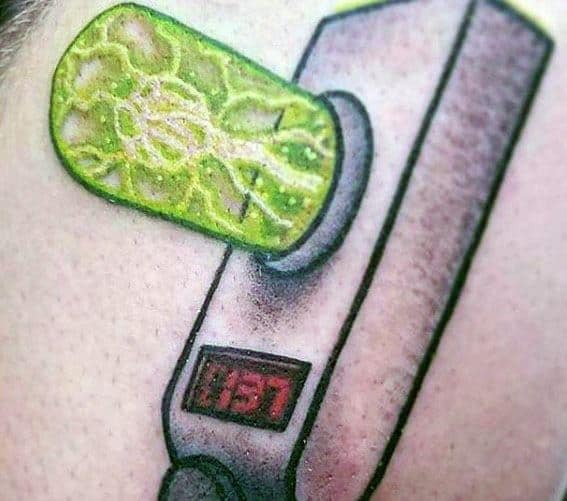 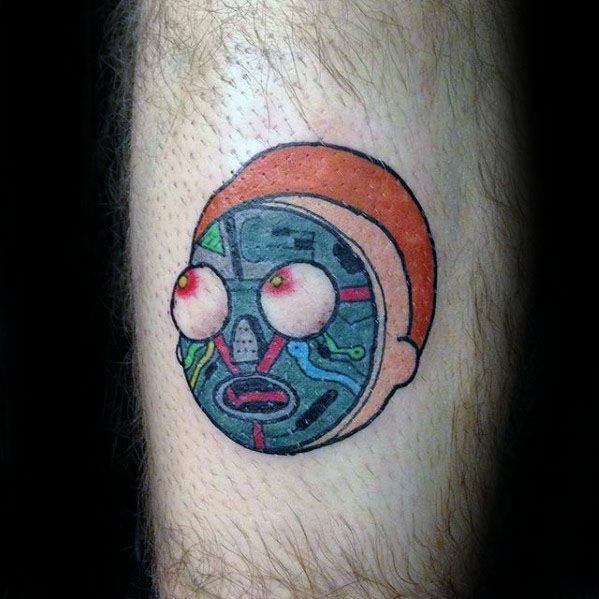 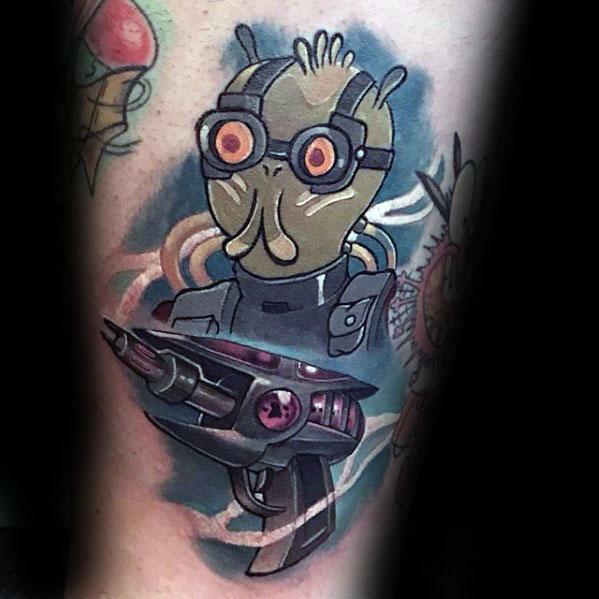 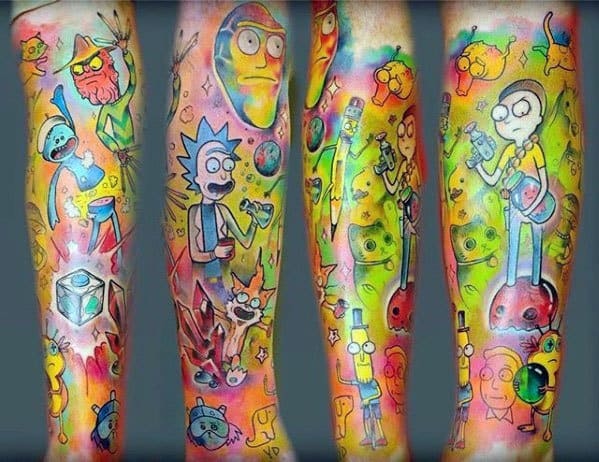 While the show is relatively young–only just renewed for a third season–Rick and Morty tattoos were quick to catch on, with ink enthusiasts eager to show their love through multiple styles and tableaux. 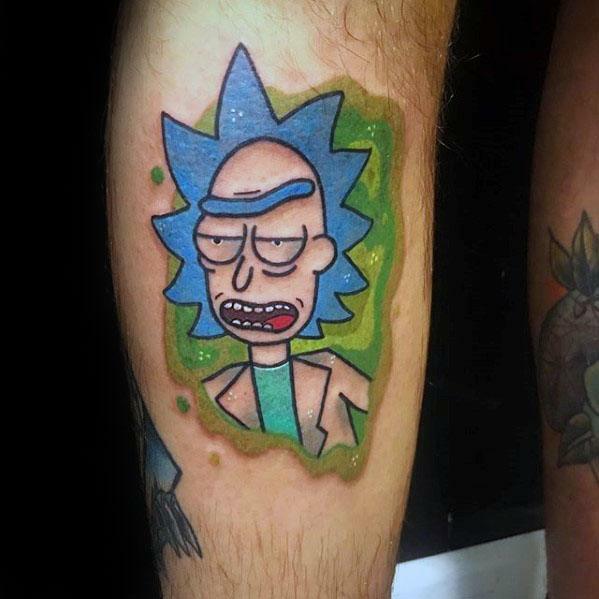 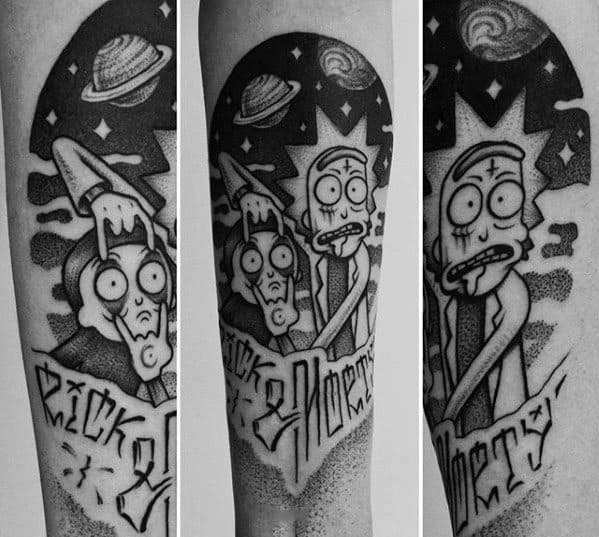 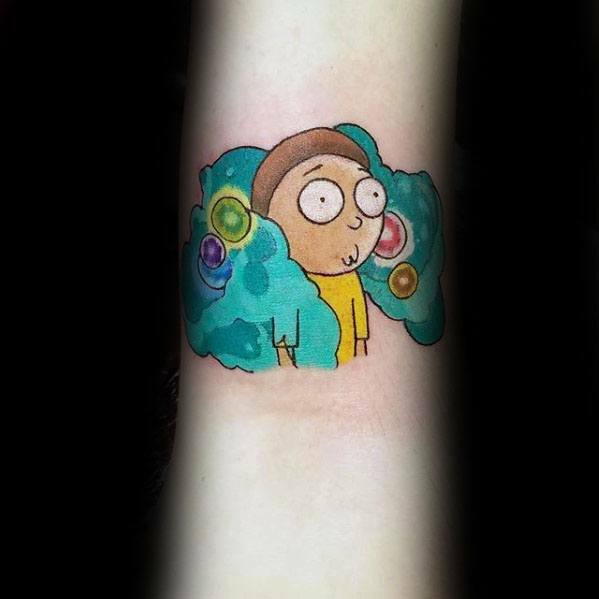 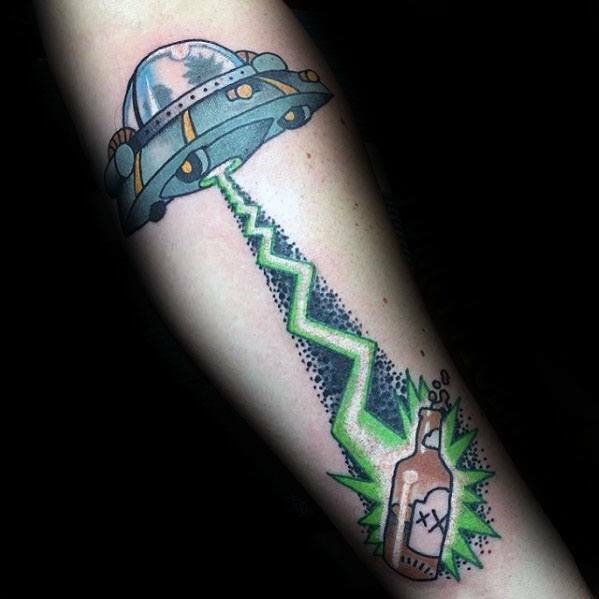 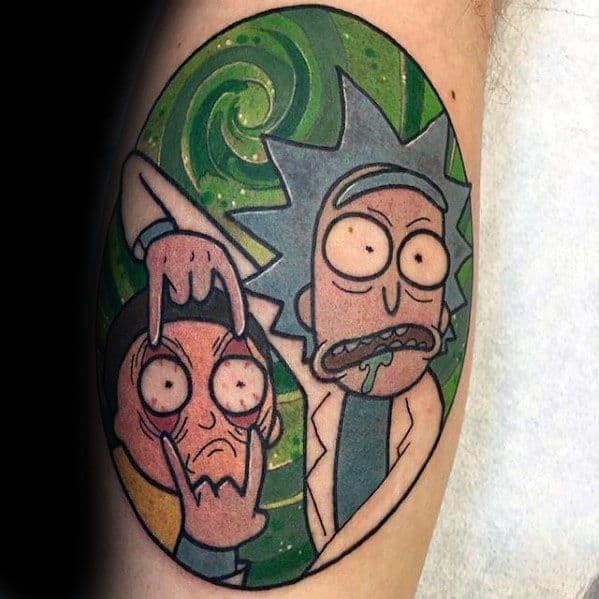 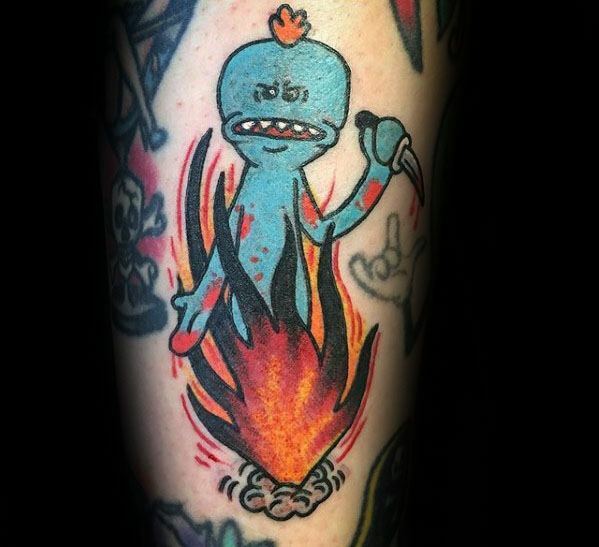 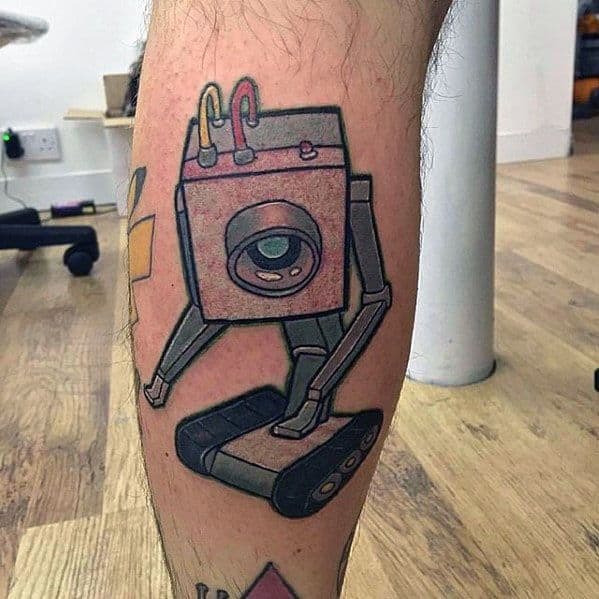 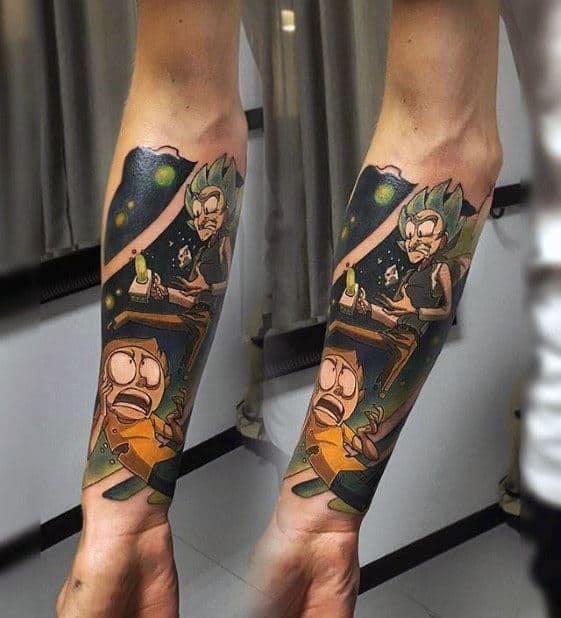 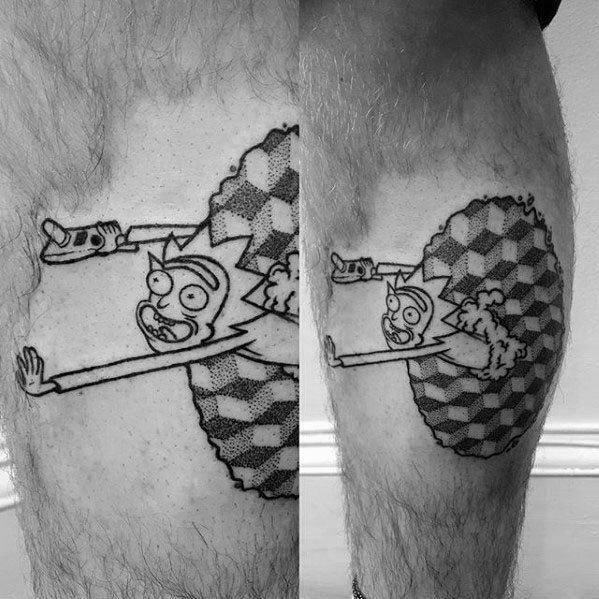 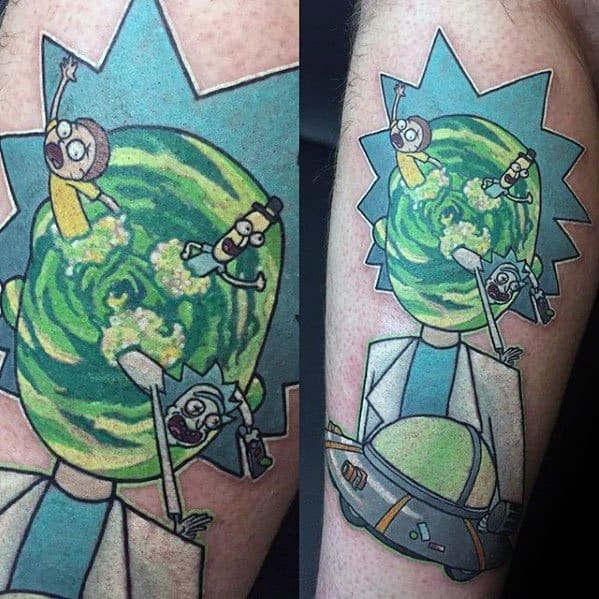 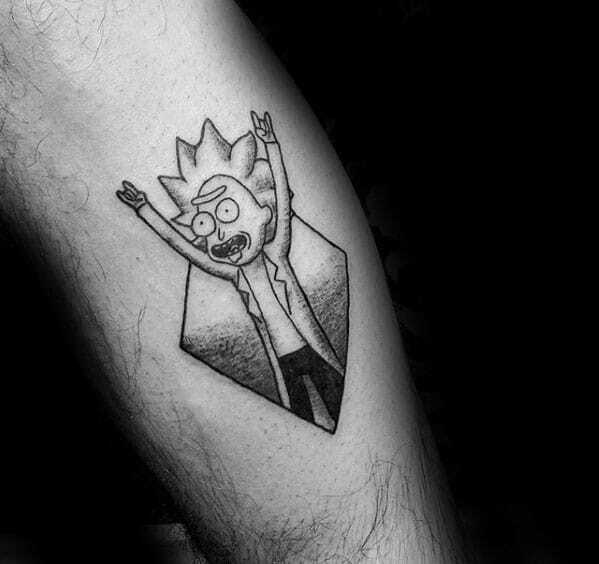 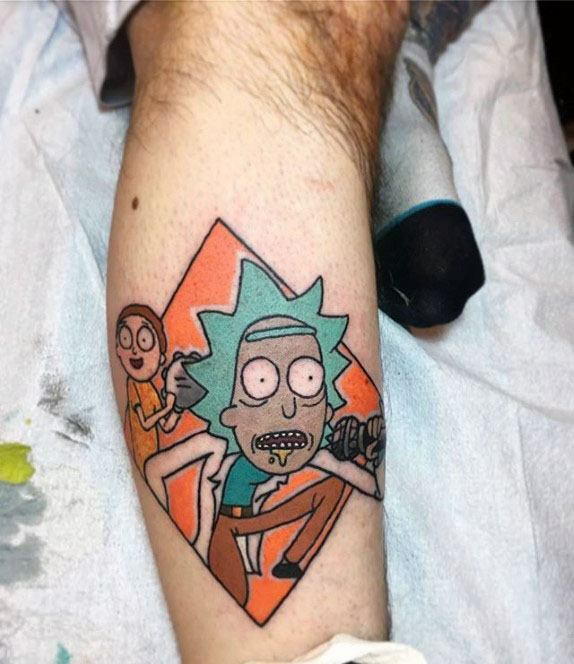 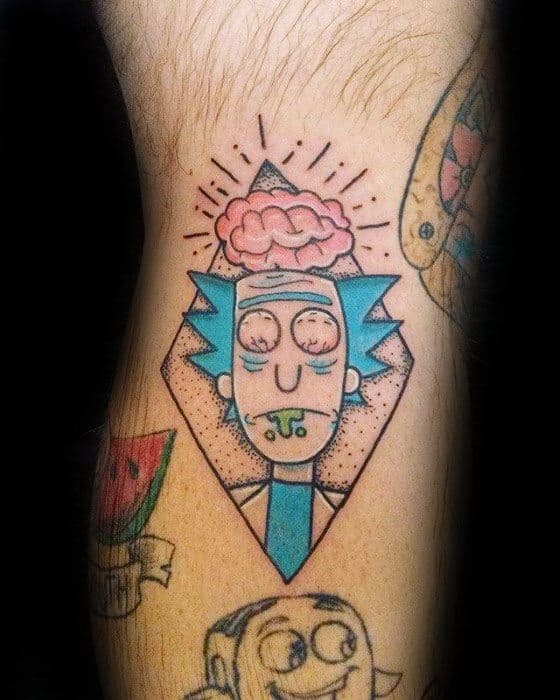 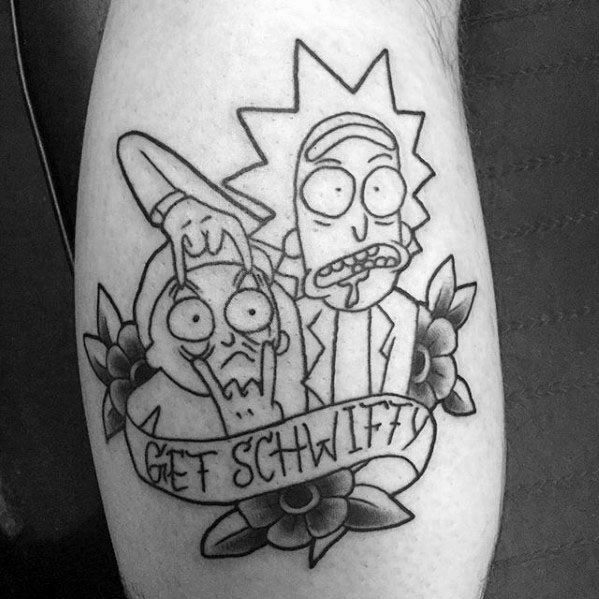 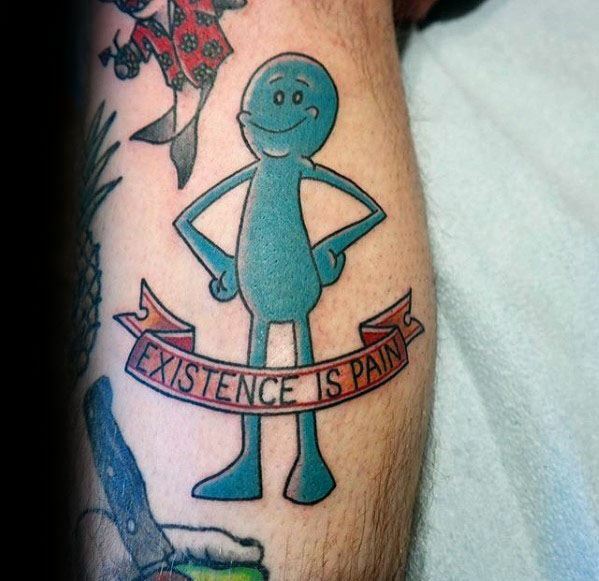 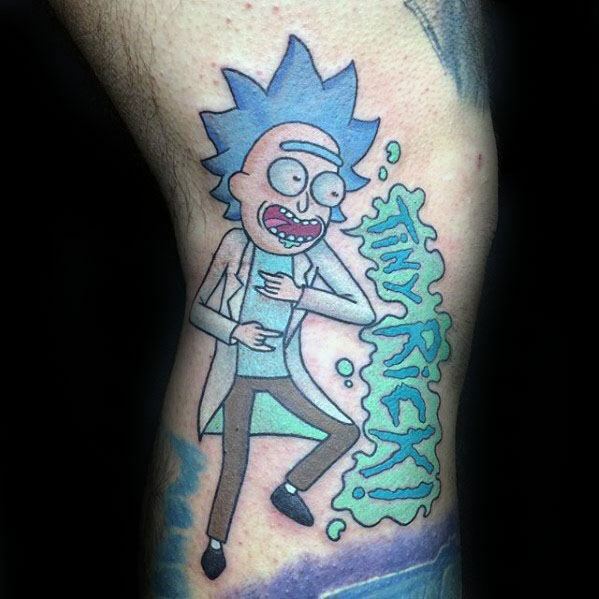 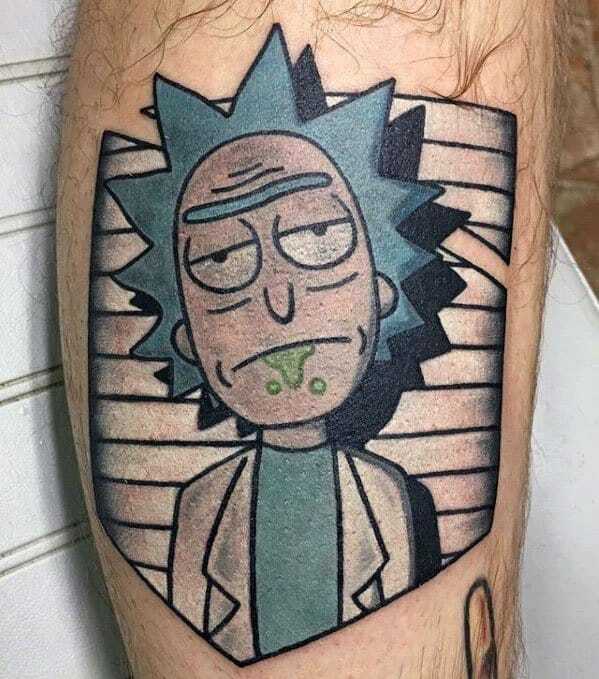 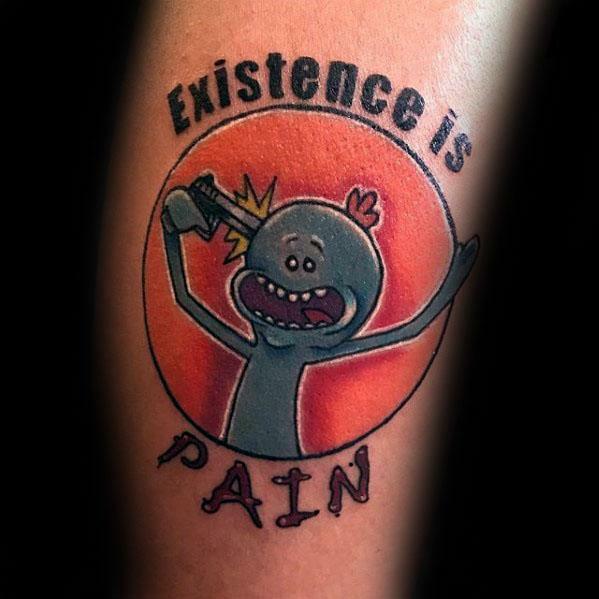 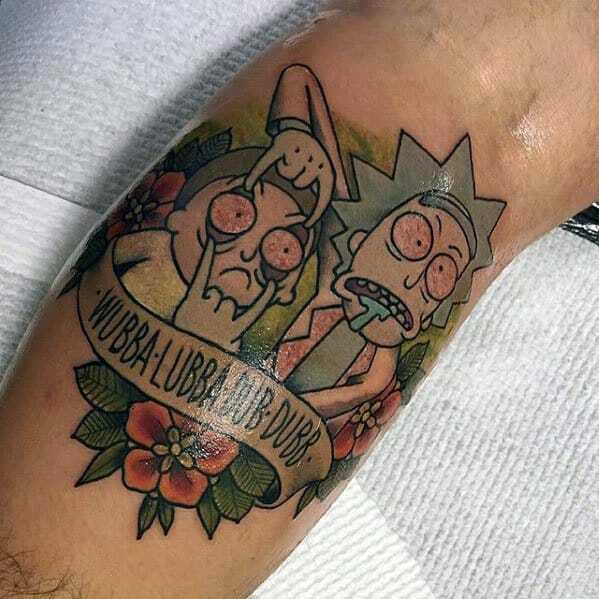 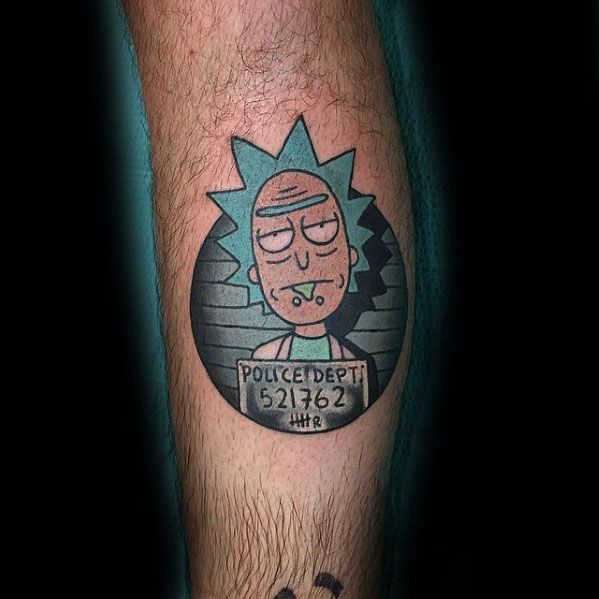 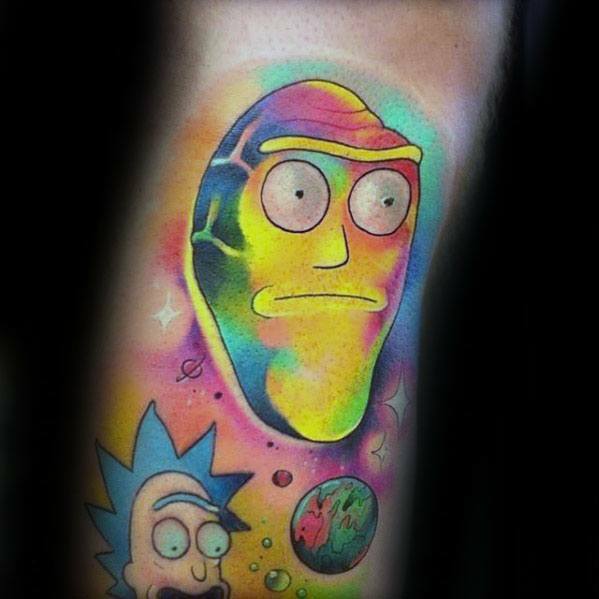 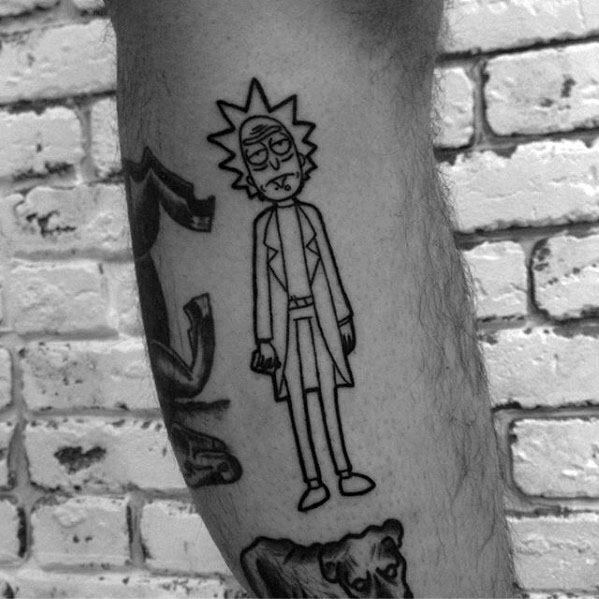 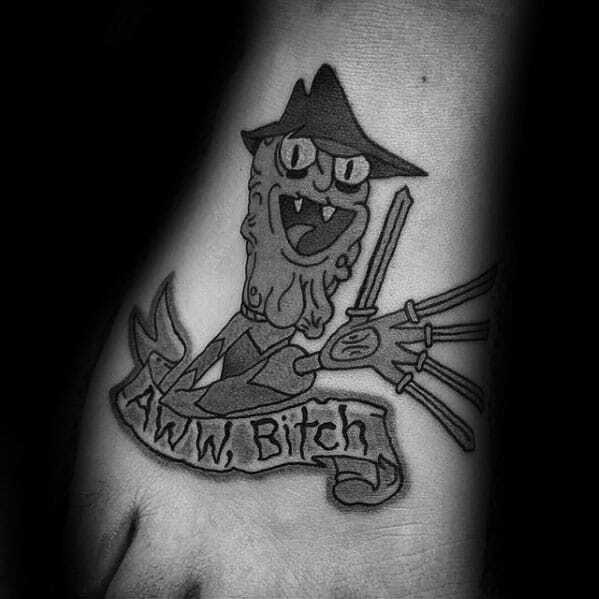 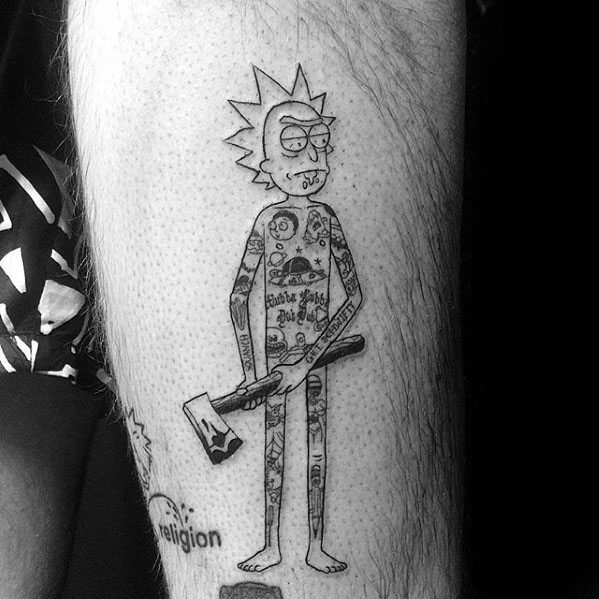 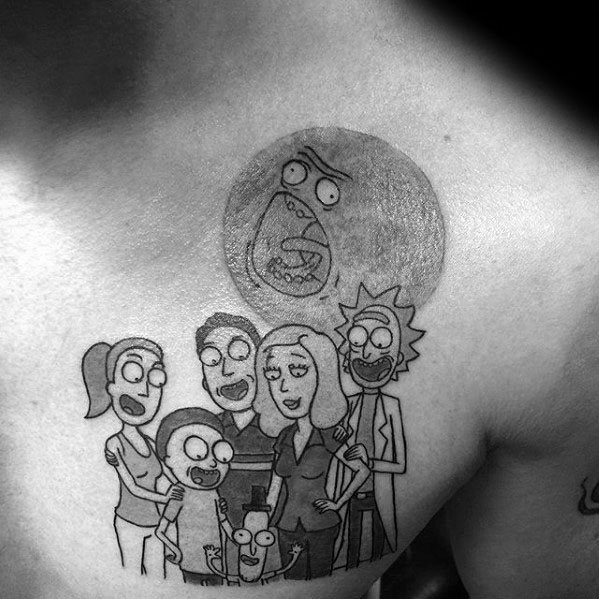 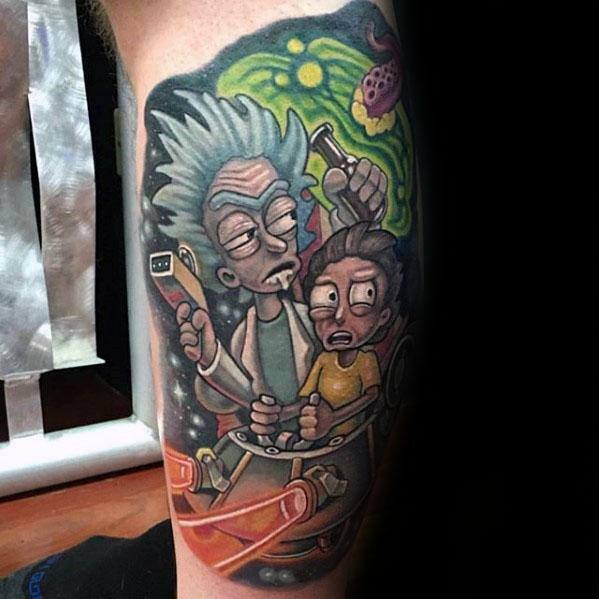 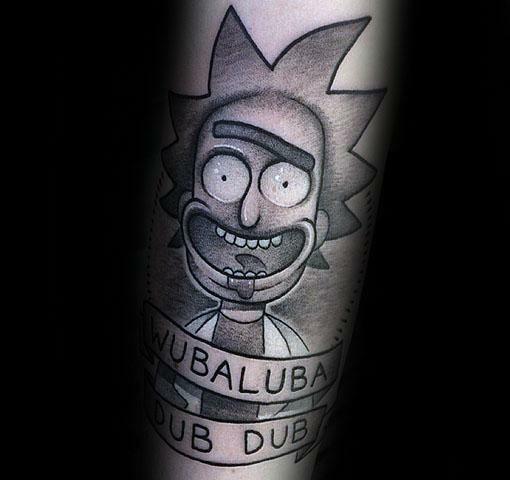 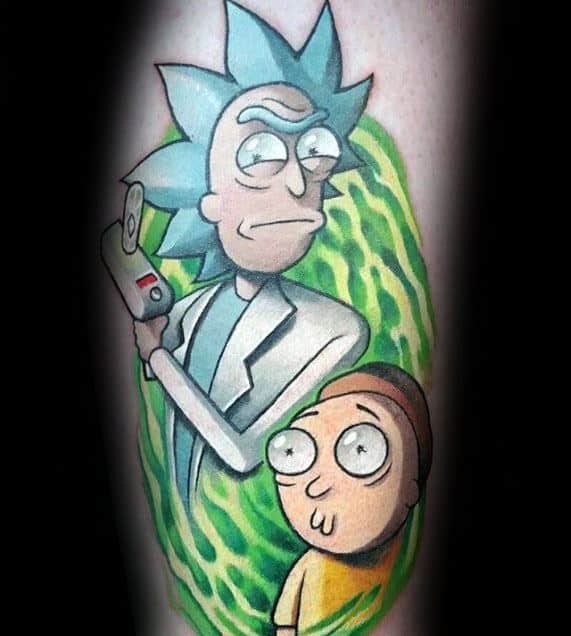 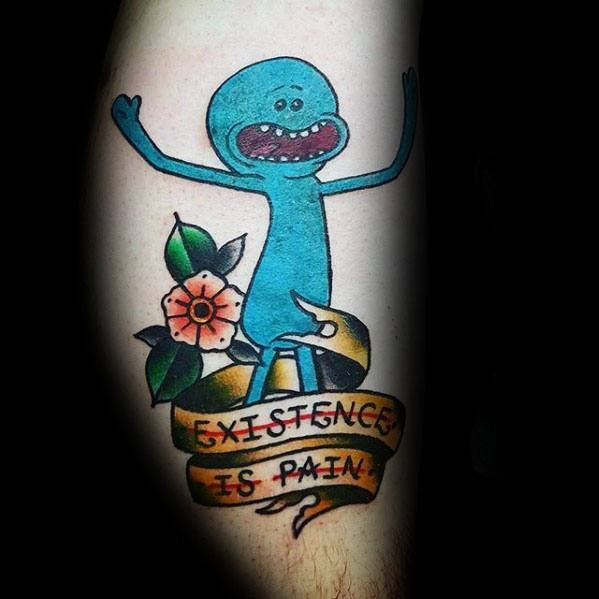 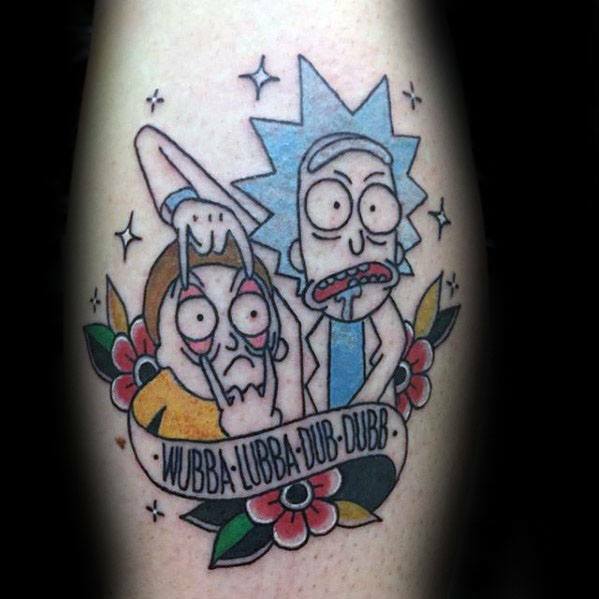 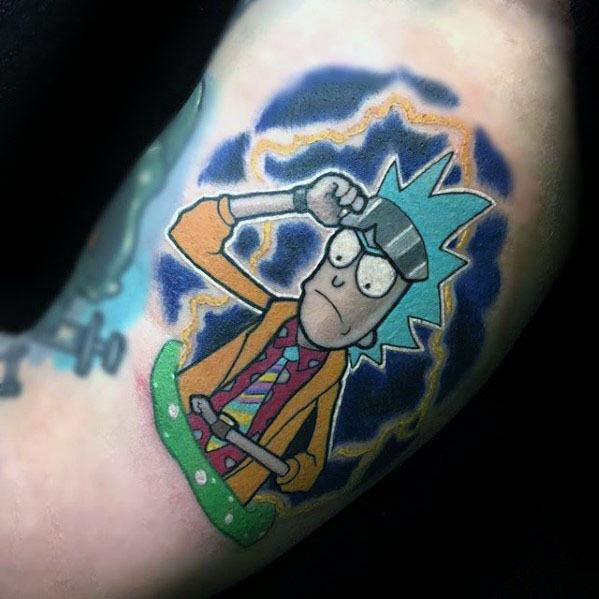 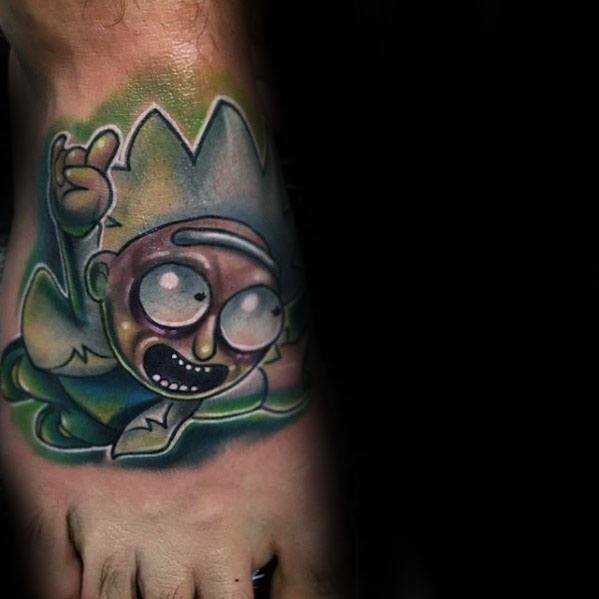 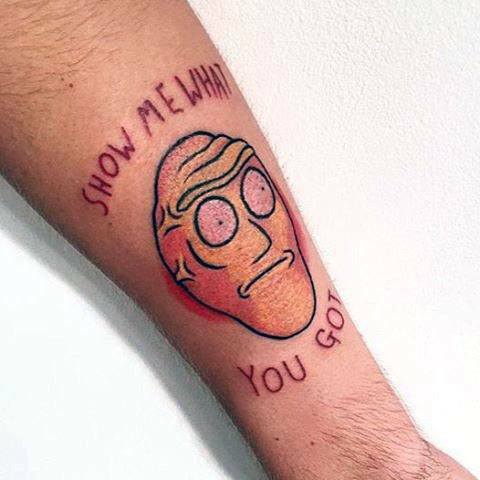 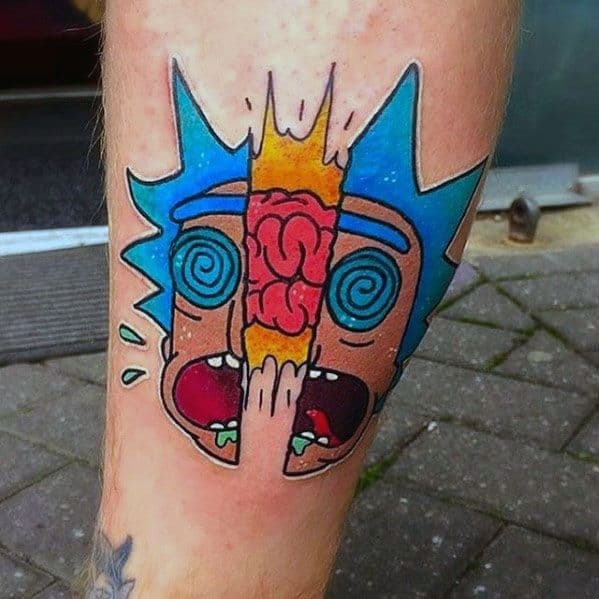 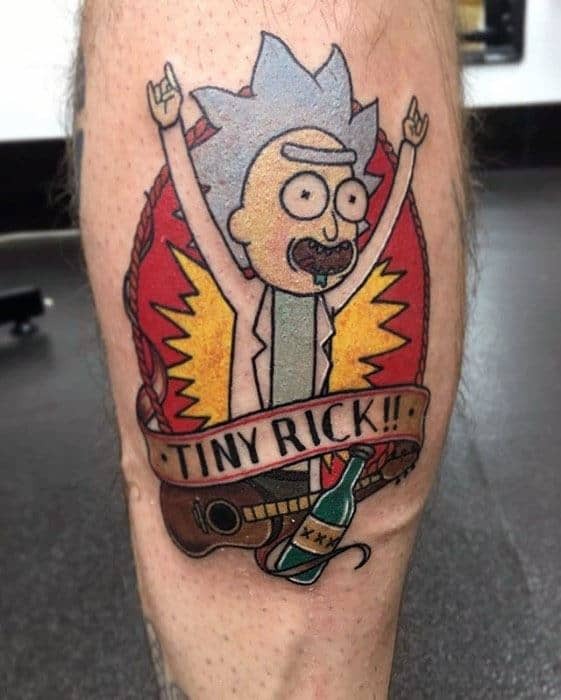 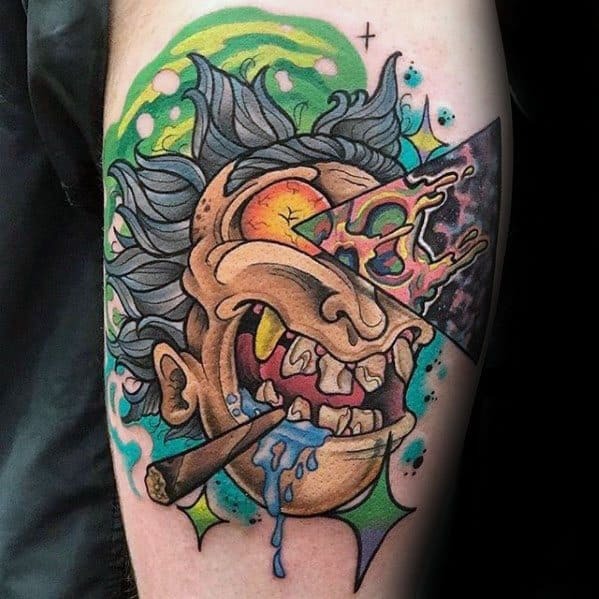 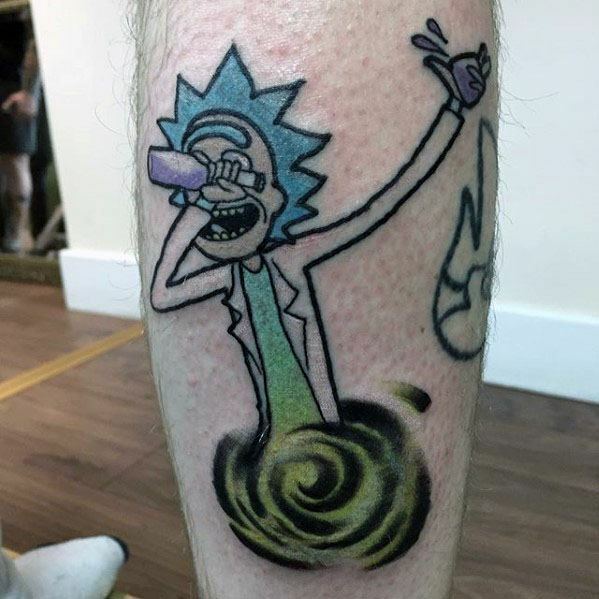 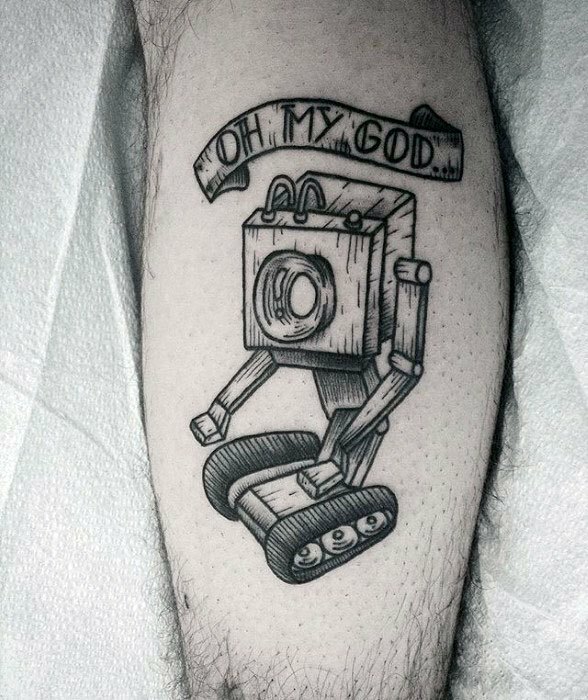 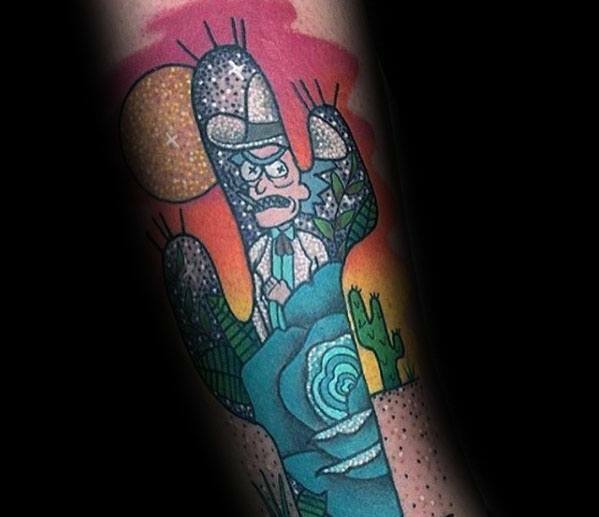 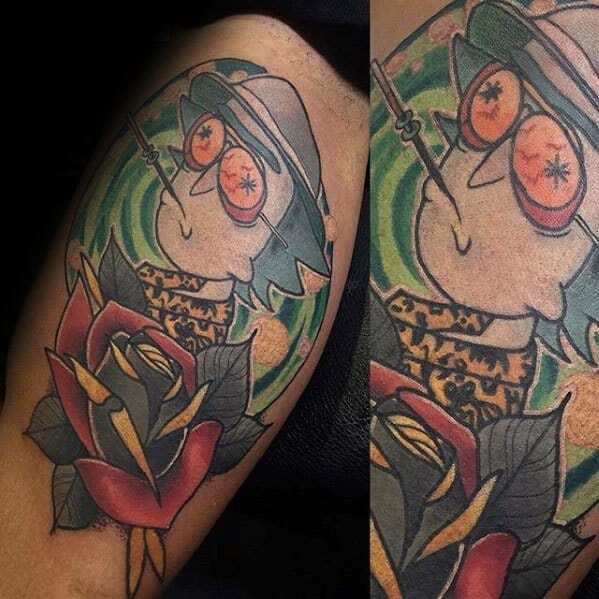 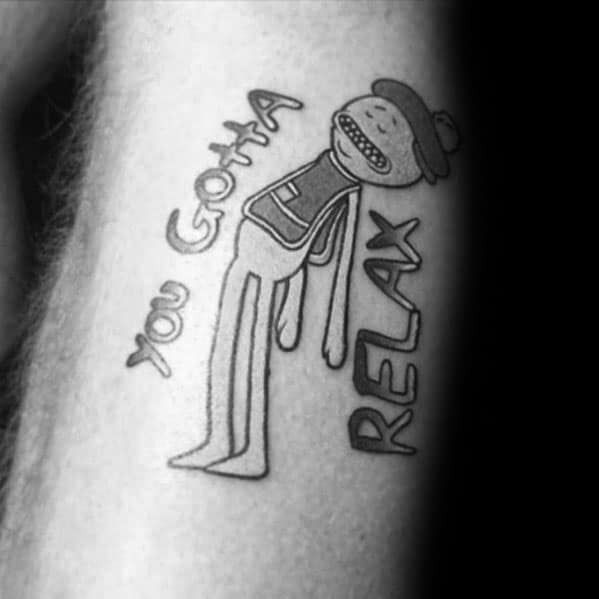 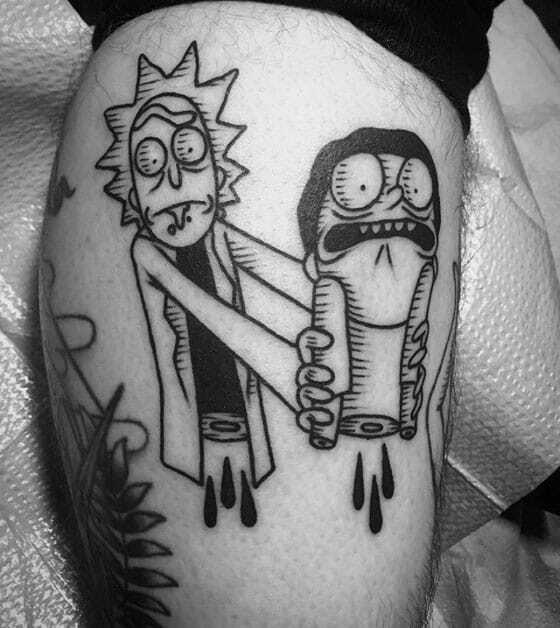 From “Tiny Rick” studding the inner arm, shoulder, or palm, to expansive and darkly humorous scenes depicting the show’s ongoing dance with existential crises, Rick and Morty tattoos carry a unique “otherness” where cartoon ink is concerned. 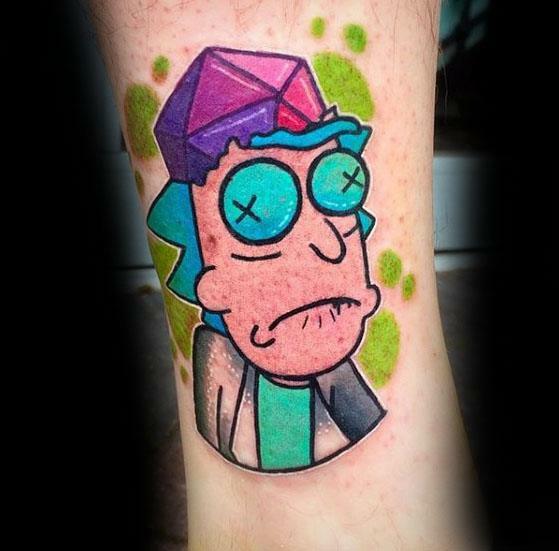 Fondly drawn to mimic their Back To The Future counterparts, Rick and Morty are both throwback and absolutely on trend, while more psychedelic schemes speak of the mad scientists’s penchant for substances and bizarre pursuits. 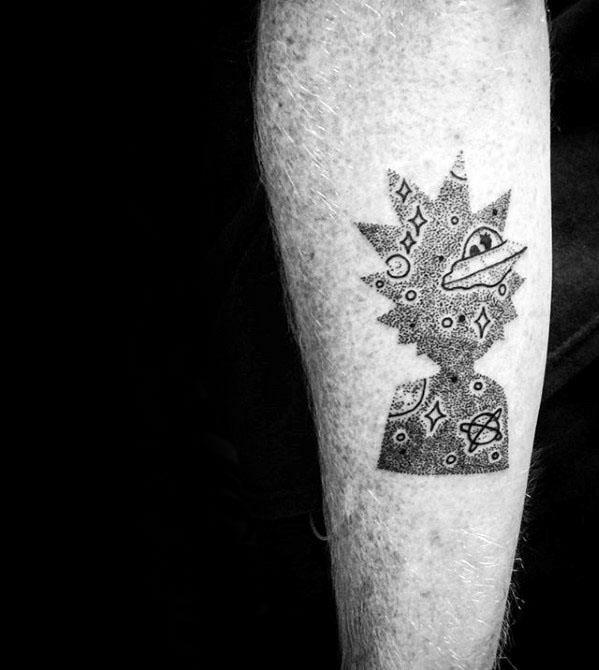 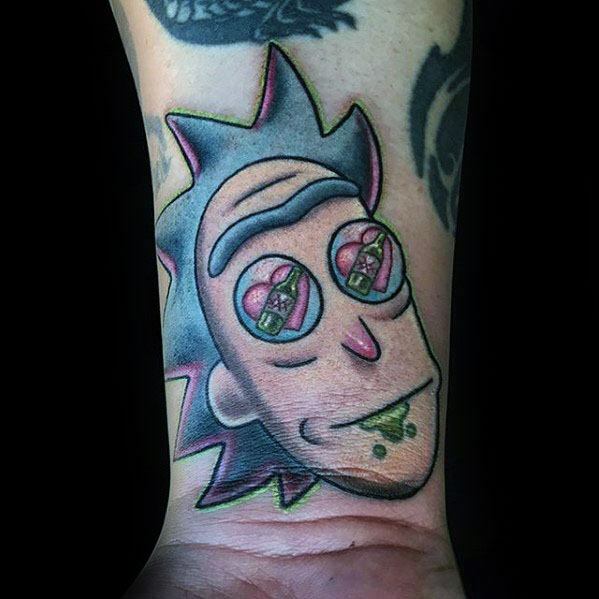 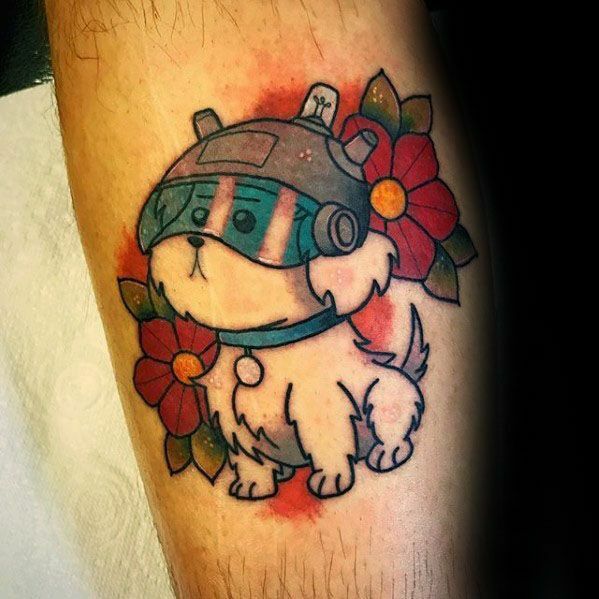 Whether you’re something of a mad scientist yourself, trying to make sense of an equally mad world while having a little fun, or the well-meaning Morty just trying to hold it together, Rick and Morty tattoos are a breed of unique that turns overnight sensations into cult classics.